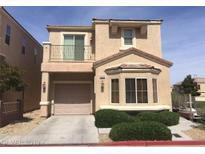 Below you can view all the homes for sale in the Sierra Woods At Summerlin subdivision located in Las Vegas Nevada. Listings in Sierra Woods At Summerlin are updated daily from data we receive from the Las Vegas multiple listing service. To learn more about any of these homes or to receive custom notifications when a new property is listed for sale in Sierra Woods At Summerlin, give us a call at 702-930-8014. Master bath has separate tub and shower. MLS#2087299. The Property Management Firm. 2nd bed upstairs is loft like w/ walk-in closet. MLS#2082431. Top Tier Realty. Great Investment Home Or Starter Home - 3 Bed 2 Bath In Convenient Location Close To Shopping And Beltway - Corner Lot - Open Great Room Spacious Kitchen With Room For Dinning - Slider To Enclosed Back Yard - Upstairs Built In Computer Desk & Large Master With Walk In Closet And Double Sinks , Separate Tub And Shower - 2 More Beds And A Bath. All Appliances 1 Car Garage MLS#2079310. Vegas Real Estate & Managemen. 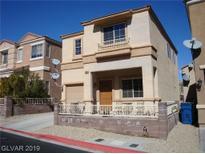 Upgraded and well cared for clean home, the enclosed Loft can be used as a sleeping room or office MLS#2077948. Premier International Estates. Come see your new home today! MLS#2074403. New Door Residential. Property Located in Northwest with Gorgeous Mountain Views; Living and Family Rooms Downstairs with Loft Upstairs; Open Spacious Kitchen with Solid Surface Counters, Built-In Microwave and Pantry; Large Master with Walk-In Closet; Loft Offers Open Spacious Area with Ceiling Fan; Laundry Room on 2nd Floor Close to Bedrooms; Located in Community with Walking Paths, Picnic Areas and Park. MLS#2062766. Keller Williams Market Place. Buyer is to verify schools, HOA, measurements and utilities. MLS#2062060. Hastings Brokerage Ltd.
Come view this fabulous property today! MLS#2060339. Heidel Realty. Sitting on an expansive .61 acres, the equestrian-zoned property offers plenty of room for buyers considering the addition of a pool or RV parking—while an open-concept living area (with 2 grand fireplaces) and 5 spacious bedrooms makes for the perfect family-friendly property. MLS#2024947. Brady Realty Group, LLC.